From that moment of revelation, my personal path of breathwork took me on an incredible adventure from an X-ray technology program in Boston, and then into the US Navy during the Vietnam War era as an independent hospital corpsman, deep-sea diver, and emergency rescue specialist. I trained CPR and first-aid instructors, EMTs, and other emergency responders; developed the first stress and coping program for the American Red Cross; and designed a master’s program called “The Breath as a Tool for Health, Growth, and Change” at Lesley University in Cambridge. Recently, breathwork led me to Silicon Valley, to the Nissan-Renault Group’s Research Labs. This automaker developed a prototype of a car that integrates a breathing feature into the driver’s and passenger’s seats. A mechanism in the seat, taken from Innovzen’s O2 Chair, moves in a way that promotes and supports full, relaxed breathing. It was an honor to present and fun to demonstrate the concept of “onboard breathing” to the CEO and his team. In the next few years as self-driving cars hit the highways, we’ll have more free time to focus on other things, like energizing and relaxing ourselves on the way to and from work. All of these experiences have been the deep well where I’ve drawn from many different schools and styles of breathing to create a unique and diverse program for breathing training. That’s why my martial artist friends call me “the Bruce Lee of breathwork.” I’m not saying I’m like Bruce Lee, but one trait we do have in common is the willingness to think outside the box and uncover every stone—to share the best from all of our teachers—and the dedication and dream to teach what we have learned to anyone ready and willing to do the work. 3. The teacher (making use of the “power and purity of our personal presence”). 5. The “something else” (a mystical or magical factor: luck, grace, timing, readiness). The awareness we are talking about is meditative awareness. It is not thinking, not judging, not comparing, not analyzing; you are not trying to figure out anything or do anything right. In fact, Breath Awareness is not really something you “do.” We are talking about a soft, open state of alertness and presence. Breath Awareness is a mindfulness practice. I also call it “breath watching.” In fact I use the terms interchangeably. It is attention training. All you need to do is decide to focus on your breathing and to observe it, sense it, moment to moment. With practice, you will naturally move toward a place of freedom and inner peace, and the realization that nothing is happening to you: it is simply happening! You will develop a natural ease and a greater sense of aliveness. Ultimately you will realize that you are always and already free, no matter what you think or how you feel. The second basic aspect of breathwork is Conscious Breathing. This is where you come in. You are an active participant in the breathing process, more than the witness. Conscious Breathing means that you deliberately control, direct, and regulate the breathing in some way. You give the breathing a certain quality or a specific pattern. You breathe with a conscious intention. You are creative. With Breath Awareness, the breath breathes you; with Conscious Breathing, you breathe the breath. An example of a Conscious Breathing exercise is to breathe at a rate of four to eight breaths per minute, which is considered to be a “therapeutic zone” since it has so many naturally therapeutic benefits. So let’s begin with an average of six breaths per minute. That means a five-second inhale and a five second exhale. Breathe in for a count of five seconds, and breathe out for a count of five seconds. Spend some time settling in to this rhythm. Make your breathing pattern smooth and steady, inhaling for five seconds and exhaling for five seconds. Simple isn’t it? How do you feel after a few minutes of this practice? If you find it difficult to breathe that slowly, then use a count of two or three or four to start. Or just count faster! If this rhythm is quite easy, experiment with a count of eight, ten, or twelve, or count more slowly. In any case, don’t push, don’t force, don’t stress, or strain. Relax. Be patient with yourself as you practice. Practice going back and forth between these two basic elements of breathwork, the fundamental ingredients of breath mastery. It is essential for us to learn to flow back and forth between active and passive, between doing and being, between breathing the breath and letting the breath breathe us. In other words, practice both Breath Awareness and Conscious Breathing. Integrate Breath Awareness and Conscious Breathing into your everyday activities and interactions. For example, when walking or running, pay attention to your breathing or deliberately breathe in rhythm to your footsteps; or when listening to music, notice the quality of your breathing, the effect that the music has on your breathing, or keep the beat with your breath. When stuck in traffic or standing in line at the grocery store, observe your breathing, or gently bring it into this slow, smooth rhythmic pattern of six breaths per minute. Breathe consciously when you watch a sunset. Use the breath to actually take in the experience. Breathe consciously when someone insults you, praises you, or tells you his or her problems. Begin using your breath to focus or center yourself, to relax or energize yourself. Use it to prepare for important events, to get through challenging tasks, and to recover from stressful experiences. Get into the habit of observing your breath and taking control of it before, during, and after various activities, events, and interactions. That’s the ultimate key to Breath Mastery: turning your daily practice into a way of being. It’s especially important to note the changes that occur in your mind and body when you practice breathwork, and track them in your breathing journal. The way we approach breathwork reflects the way we approach life. By observing your breathing, you can learn a lot about yourself. Sometimes we need to paddle our boat if we expect to get anywhere in life, and sometimes it’s better to pull in the oars and let the river of life carry us forward. Sometimes we are called to take charge and sometimes we’re called to get out of the way. Sometimes control is necessary and sometimes the call is to surrender. Sometimes we live our life, and at other times life lives us. Sometimes we breathe the breath, and sometimes we let the breath breathe us. We are breathing all the time, but most of the time we are completely unconscious of it. The breathing is happening, but our consciousness is focused elsewhere. Our awareness is often pushed and pulled and controlled by random unconscious impulses, miscellaneous forces, and other people. The practice of mindful breathing compensates for this, restoring a certain natural power and balance. When your awareness jumps from one thing to another constantly, your healing energies and creative forces are lost or dissipated. When you bring all your attention to the breathing, your energy begins to accumulate and you develop tremendous personal power. For lack of a better word, “magic” is possible when we bring together consciousness and breathing. For many people, this simple practice is life-changing. As you begin a daily Conscious Breathing practice, you will dramatically increase your internal awareness as well as your situational awareness. Also, your health, well-being, and performance will be enhanced. When you master Conscious Breathing, you will naturally experience more comfort and pleasure, more success and ease—in body and mind, in your intimate relationships, and in your professional life. Consider this: when you are in your most relaxed state, you are literally sleeping. You actually sleep through the most relaxing moments of your life! You are unconscious in those moments when you are most relaxed, so you have probably never had a waking experience of pure, deep, and total relaxation. You have to get out of the way for your body to relax and rejuvenate itself. Your ordinary consciousness—filled and busy as it is with all its incessant mental activity—interferes in the body’s ability to relax. Thus nature sees to it that you disappear for a while every night. Having you go unconscious seems to be the only way your body can take a break from your head tripping! Slumping on a couch, drinking beer, and watching TV is a very poor substitute for genuine relaxation. Being wide awake and totally relaxed at the same time is so rare that when it occurs during a breathing session, most people describe it as a peak religious experience, a peace that passes understanding. They describe the experience as bliss or ecstasy, a feeling of pure, causeless joy. They inevitably resort to spiritual or religious terms to describe what is actually a very basic, yet profound human experience. When you master this second convergence in breathwork—bringing together full consciousness and complete relaxation—you touch a place in yourself, you open to a state that all the great masters and saints lived in and lived from. You get a taste of the life lived by the Buddha, Jesus, Lao-tzu, Krishna, and all the other sublime teachers. This is a high art and a transformational skill: the merging of peace and power. Master it, and you will discover, experience, and accomplish things that the average person can only dream of. Usually when people breathe in a powerful way, they don’t relax. And when they relax completely, they don’t breathe. The more they breathe, the less they relax; the more they relax, the less they breathe. This is the common dilemma and the normal experience of people who have not mastered the art of breathwork. The idea is to turn it all around so the more you breathe, the more you relax, and the more you relax, the more you breathe. Stop sacrificing one for the other and you will enter the ranks of the great saints and yogis, the famous artists and legendary warriors. Here we apply the principle of economy: we focus on breathing fully and freely, deeply and powerfully, all while using as little muscular effort or activity as possible. We engage in deliberate relaxation even as we practice breathing deeper, faster, and more powerful breaths. Combining full, free breathing and complete relaxation with great awareness is the secret that leads to the most empowering and enlightening benefits in breathwork. It is the door to what we call peak, flow, or transcendent states. It can be described as an “energized calm” or a “dynamic peace.” You owe it to yourself to master this third and key convergence in breathwork. 1. Practicing the first convergence means practicing mindful breathing or Breath Awareness. You’re learning to let the breath breathe you. 2. The second convergence is about becoming conscious of the tensions in your body and eliminating unnecessary muscular activity. It’s especially important to relax the accessory breathing muscles. 3. The third convergence is about combining powerful breathing and deep relaxation in a conscious and creative way. Dan Brulé is the world’s foremost expert and renowned pioneer in the field of breathwork, and leader of the worldwide Spiritual Breathing movement. He served in the United States Navy as a medical deep-sea dive during the Vietnam era and completed his master’s degree in Cambridge, Massachusetts. "Dan Brulé’s new book is a fascinating and practical guide to the overlooked importance of the breath for creativity, vitality and healing." "Dan Brule is one of the world’s great breathwork masters of our time. He weaves together breathing physiology, psychology, and spirituality in uniquely practical ways that most anyone can learn for improving health and performance. His writing style is crisp, clear, personal, easy to read, and even exciting. His book is a “must read” not only for breathworkers, healthcare practitioners, and yoga-meditation fans but also for virtually anyone who suspects that breathing might just be something important in their lives!" "Just Breathe is a needed Gift to humanity! It brings us back to the importance and value of conscious breathing, and the many ways it improves the quality and depth our lives." "Just Breathe will provide you with information about the revolutionary healing and growth that comes from conscious breathing which Dan Brule has accumulated over his many years of teaching and practice. Just Breathe also will provide you with the wisdom of a world traveler who has presented breathwork successfully in more cultures and diverse settings than practically anyone on the planet. Most importantly, Just Breathe will provide you with the inspiration to adapt these life affirming practices and have the confidence to come to inner peace and self love if you just breathe." "I am a skeptic of nearly everything. I’ve trained with the Navy, helped an NFL player get on a team, raced Grand Prix motorcycles… all high stress environments. What works? Train. Eat. Sleep. That’s what works. But wait a second… Enter Dan Brulé and his BREATHWORK. To me THIS technology is the fourth pillar of achievement. It makes a huge difference in performance, and I am all in. Today I might miss a workout, I might miss a meal, but I’ll never miss a breathing session. Welcome to the fourth pillar, and welcome Dan as your coach." "I always start my breathing courses by saying that breathing is simple but it is not easy. Either you JUST let your autonomic nervous system do the job and breathe your life… or you ADJUST your breath and tweak it to its optimal functioning and live the full life you deserve. I love the way Dan gently enters breath mastery through awareness, relaxation and breathing. His 'Wake Up!' 'Let Go!' and 'Take Charge' are the basics of what we all teach, but here in Just Breathe it is so clear and straightforward." "This book, which embodies Dan’s life work, draws us in, inhales us into a fresh new state of awareness, of seeing how, even in the small moments of each day, we can transform our experiences with conscious breathing. Then it breathes us out into the world with freedom from habits and limitations, with wisdom from ancient traditions and modern science, and with the knowledge that it is quite possible to heal ourselves and others using the power of our breath. Thanks to Dan for this inspirational work!" "Most of us have never even considered the gift and value of the breath until something comes in the way of its flow. 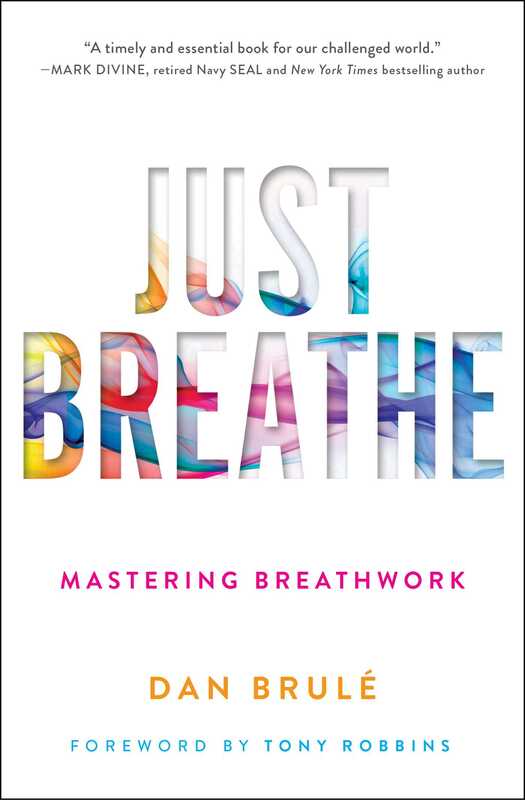 In Just Breathe, Dan succeeds in sharing a lifetime of experience and wisdom in a way that is accessible and practical but at the same time wakes us up to the magic and mystery of the breath. He makes the simple act of breathing come alive through his passion and deep insight. 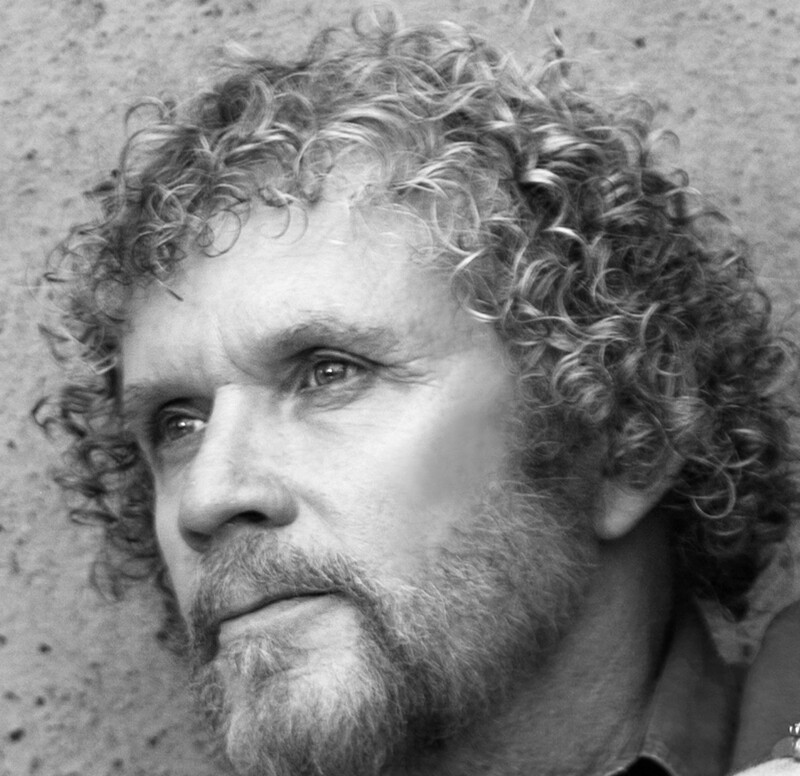 He guides us to develop a conscious relationship with the breath to optimize every aspect of tour lives. What a gift!" "I have known Dan for many years through the International Breathwork Foundation. I see him as a passionate hunter, having explored, enjoyed and mastered the amazing gift that Life offers us through the breath. That gift, along with all his passion and mastery is what he offers us through Just Breathe. A very practical and inspiring book with a wide range of exercises for our daily life, and also for very specific situations and health issues. Ideal for oneself, but also to use with our peers, clients, patients, pupils and family. Don't resist the temptation to dive into it and let yourself be guided along a life-changing journey!"